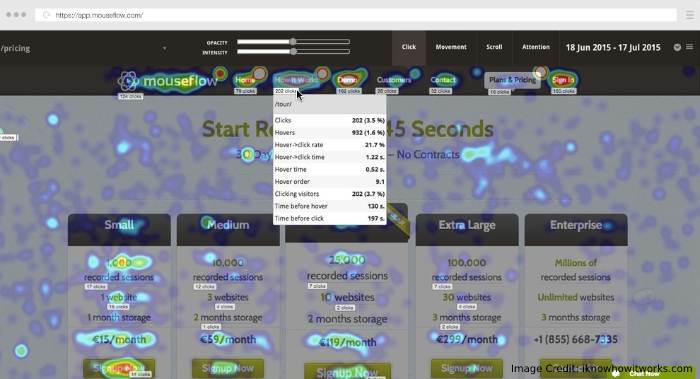 What Are Best Heat Map Tools To Track Your Visitors Behaviour? Wish to have better insights into how your visitors interact with your site? Heat maps tools are excellent at this. 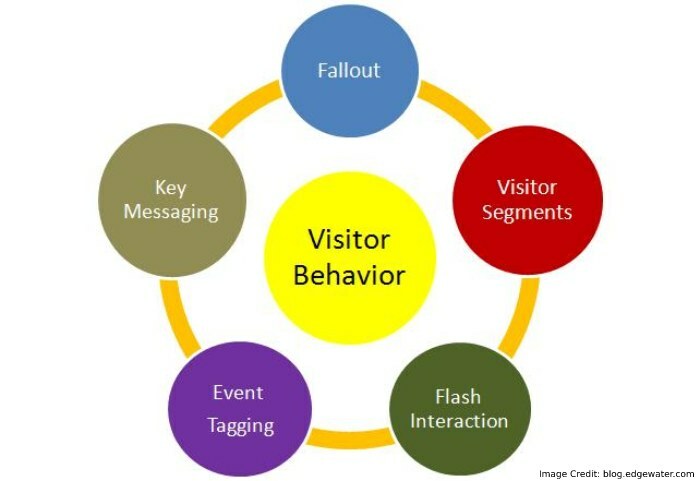 We all know that analyzing and tracking our visitor’s behavior is essential for the success of our website or blog. However, analyzing and tracking how the visitors interact with the blog or website is quite difficult. But with a user-friendly design, you can attract visitors so that they click on a particular part of a web. Things like an Ad, or subscription box really helps to attract the visitors, but you don’t know how the visitors will react. To know that you will need enough data. But how will you get this data? Well, the answer is Heatmaps. Heatmap tools and plugins help you track where your users click on your site, how far they scroll, and how they actually make use of your blog or site. With this article, we will present seven best tools for you so that you can take advantage of it and know how your visitors behave on your site or blog. 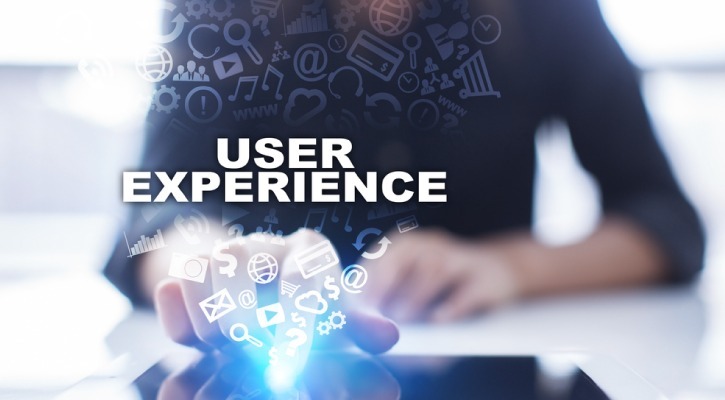 Crazy Egg is one of the most fantastic site optimization tool that let you know and have the insight of your visitor’s customer behavior on your blog or website. This is a sales optimizer provides you more control on online your business strategies with the efficient tools. With this tool, you can enjoy scroll map tool, heat map tool, design testing, in-page analytics, A/B testing, CRM and a lot more other features. The best thing about this tool is that it lets you divide the heatmap information into traffic sources. 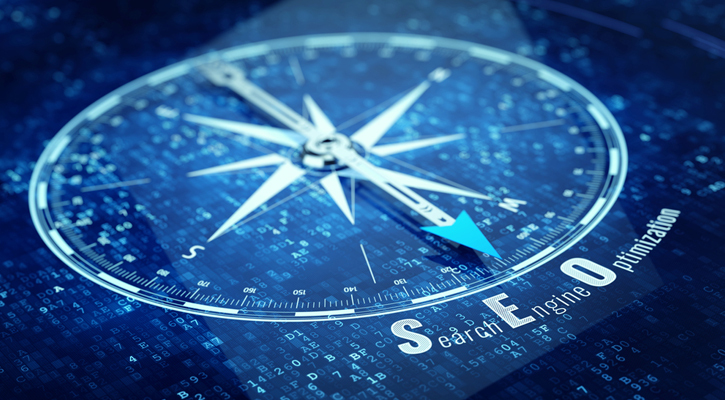 This will let you see that which visitors are coming from which sources like social media platform, search or any other sources that interact with your blog or site. This tool is even available in the plugin. So, if you have a site that is based which is running on a platform like WordPress, then it will be effortless for you to add this tool is very easy to add into the website. The tool offers 30-days free trial, and it offers four different plans in which the starting Pro plan can cost around $99 per month. The Inspectlet tool integrates Analytics to your site. The tool lets you track the movement of the mouse, clicks, scrolling and typed information on your blog or site. 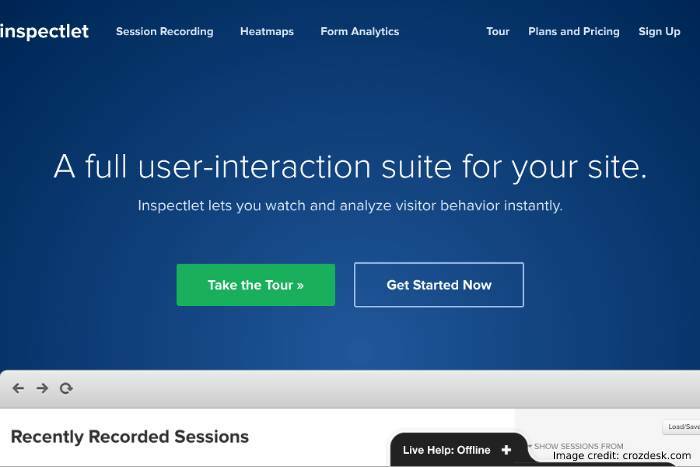 The three basic features that this tool offers are session recording, Heatmaps, and Form analytics. Besides that, the team of this tool provides conversion funnel analytics along with a strong filtering functionality. And it even offers analytics to understand better and optimize your lead generation as well. The tool offers six different plans where you the first plan costs at free and the Micro, Startup, Growth, Accelerate and Enterprise. Where the starting plan costs around $39. And if you want to leverage more from it you can upgrade to its other plans. Clicktale is another best pick of this list the offers excellent heatmaps analytics. With this, you can have powerful session recording technology and great detailed heatmaps analysis features. Besides that the great thing about this tool it offers integrations with other analytics tools that you can use. 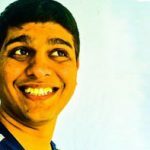 It supports integration such as Google Analytics, Google Tag Manager, and other integration as well. In features’ list, it includes advantage like Session recording, advanced analytics, conversion analytics and so many other functionalities. However, the Clicktale doesn’t have any pricing detailed offered on its site. 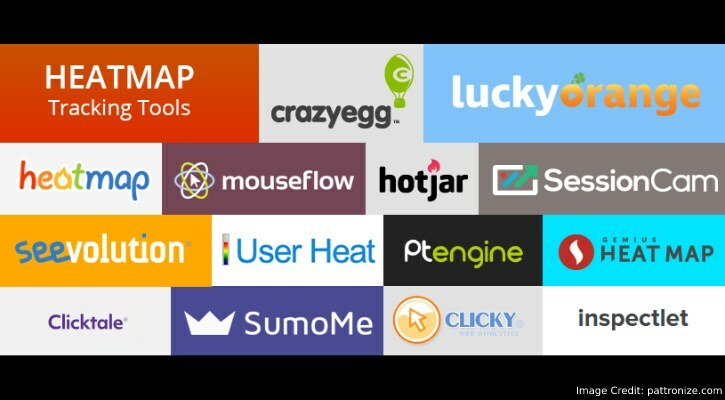 Mouseflow is having a more than 100,000 happy customers like Microsoft, Hubspot, Intuit, Sage, Philips, NBC and other popular happy customers. This tool for serious marketers helps you understand your visitors and let you take action like never before. It helps you see exactly what you see what exactly the visitors on your site are doing. It offers to record of your site visitor activity, which means you can see how the visitors are interacting with your blog or website. You can even take advantage of its other features like form analytics that allows you to find why visitors are abandoning your forms. With this tool, you are allowed to track your funnels and also set custom funnels so that you can find your visitor’s source from which they are coming and how differently they are behaving on your website. However, this tool costs at $29 per month with its starter plan, but as per your desire, you can go for its other plan. As compared to other tools in this, this tool offers real time heatmaps. Hence, you can see the interaction of the visitors with your blog or website live. Don’t worry about the privacy the tool is excellent at keeping the data private of your user by not logging unnecessary data. This tool offers a free plan which is limited to just five pages on a single blog or website. But their paid plan starts at $100 per month that offers unlimited pages on one blog or website. Hotspots Analytics a plugin that you can use on your WordPress based website or blog. This is one of the most advanced analytics plugins that offers heatmaps, activity of the visitors and custom event tracking as well. It provides integration with Google Analytics and also gives support to the responsive web-design and smart devices. This tool is all free to use. It provides real-time activity log, server latency, export data to Excel, IPv6 support and a lot more. There are over 100,000 active installs that are a huge number. You can even have premium add-ons too. This plugin is also free to use tool. 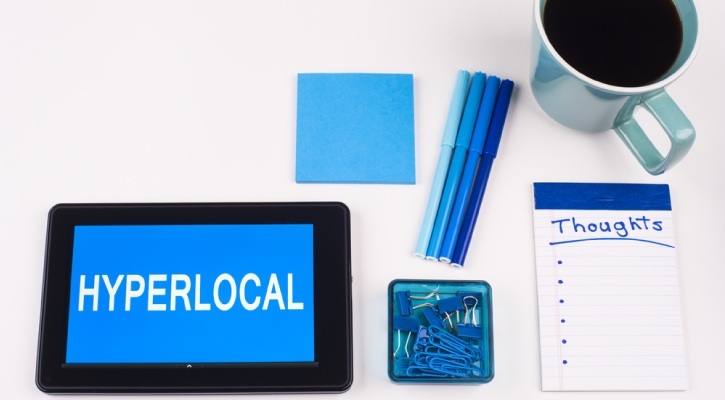 These are the best seven cheap maps tool that offers excellent tracking of your visitors. Heatmap analytics is one of the essential things to track the success of your online business, and we are sure that these tools are great at letting your track your success. So tell us which one is your and how it worked for you tell us here in the comments section.